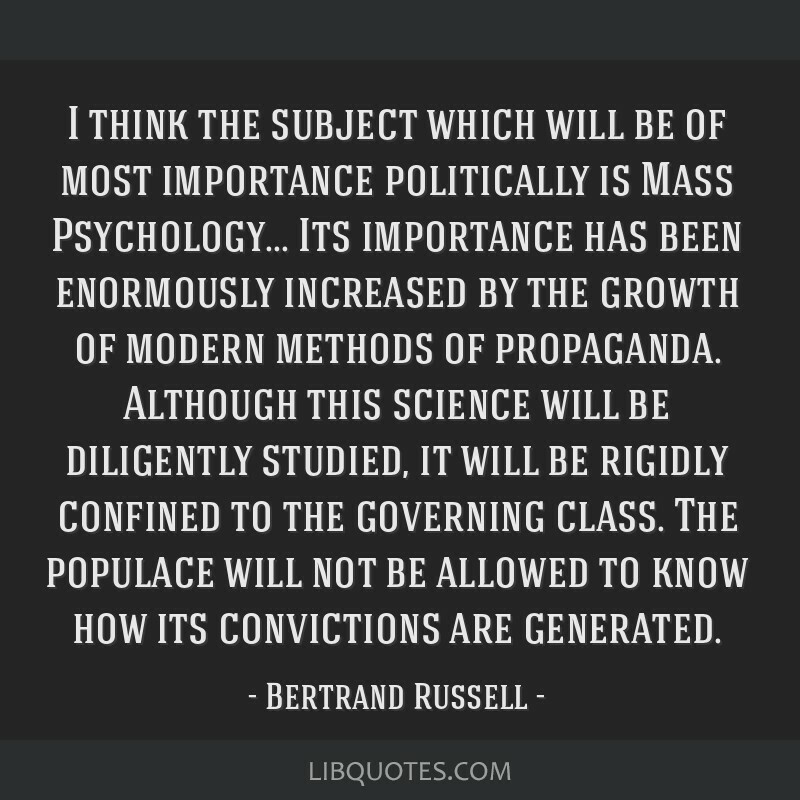 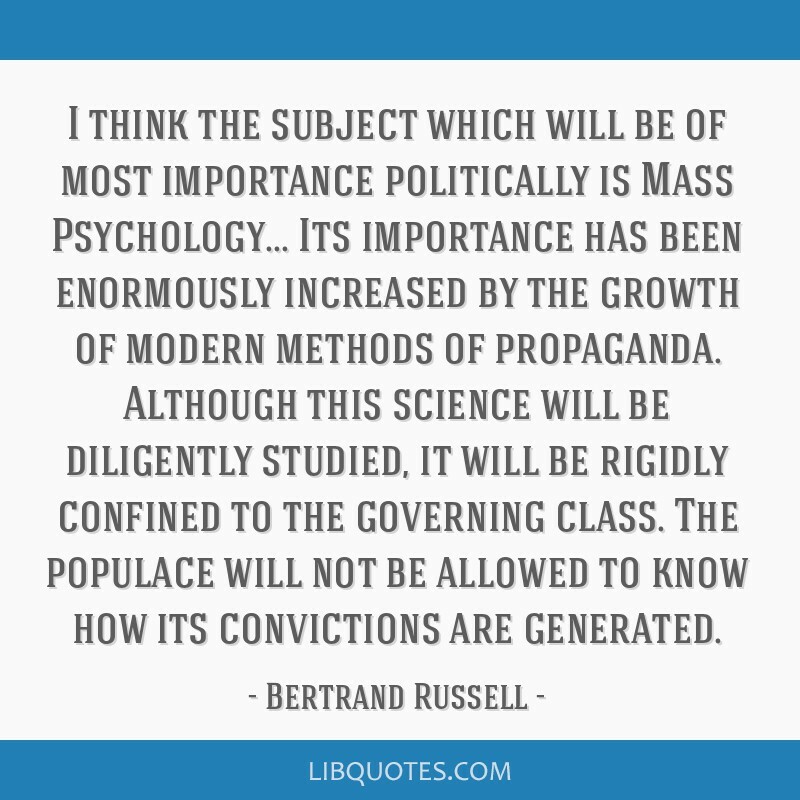 I think the subject which will be of most importance politically is Mass Psychology... Its importance has been enormously increased by the growth of modern methods of propaganda. 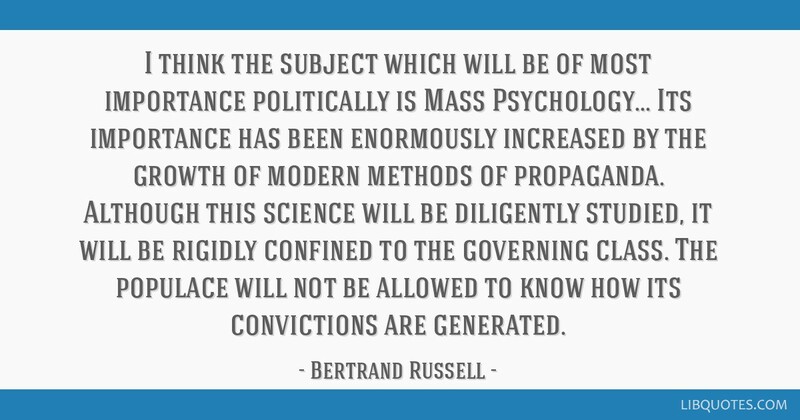 Although this science will be diligently studied, it will be rigidly confined to the governing class. 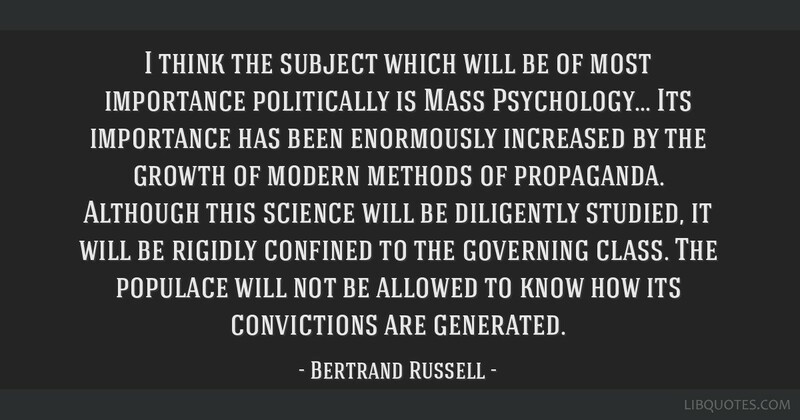 The populace will not be allowed to know how its convictions are generated.